Kriti Monga is a graphic designer and illustrator with a sunny happy studio in New Delhi. 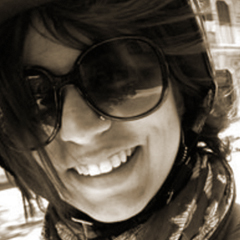 An alumnus of National Institute of Design, Ahmedabad, she worked with a diverse set of studios, research scholars and corporate setups such as Fisheye Design, Fabindia Overseas, Sacred World Research Lab and Western Outdoor Interactive, before taking a position with Tag Worldwide as their Creative Director, India. In the interim, she set up Turmeric Design as an independent design practice, focusing on producing interesting and meaningful design, through active collaborations with other professionals and peers, which she spoke about at TEDX. Kriti also teaches occasionally at NID and NIFT and takes workshops on design and typography. Her work, hand lettering and travel and event diaries have been featured in several design and lifestyle publications, including Creative Review UK, Taschen’s Asia Graphics Now and magazines like Elle, Platform and Pool, amongst others. She was recently one of Delhi’s 20 shortlisted young designers invited to present her work at the DesignXDesign group show at Alliance Francaise, New Delhi. Kriti can be seen: drawing, setting typography, producing hand-lettered posters, playing with vintage type styles and tools, initiating talks and workshops, learning Spanish, drinking coffee, and travelling whenever she can get away.